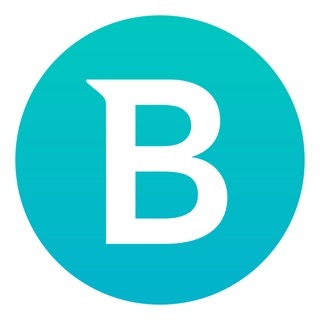 Bitdefender is a very good virus scanner, it will disenfect your hard drive…BUT… don’t expect it to be able to work on a drive that is not formatted as an HFS drive. 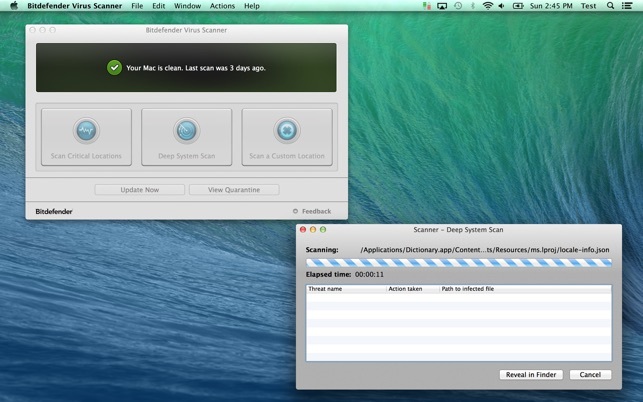 I have read reviews of people with windows NTFS drives who are of the opinion that they can connect that drive to their Mac for disinfection. It doesn’t work that way, #1 NTFS uses a different file structure so the OSX program doesn’t know where to put files on that drive to quarantine them because it is configured to work on an HFS drive. People download it on a computer after it is already infected and don’t understand why it won’t update…. Um because you have a virus that has disabled the updating. With either of these issues it’s the user issue with not keeping their system up to date with antivirus software and scanning the hard drive in full every week, with a daily quick scan. This is at a minimum, yes it is much more than most people are used to, but this is also a much differeent world than it was even 12 months ago. Social media bots, websites with malware, it’s all very invasive, and yes there is some malware that once you get it you might as well scrap your hard drive unless you really know how to degauss a hard drive (strong electro magnet that completely obliterates all data on the drive. It works great and the one here is FREE! 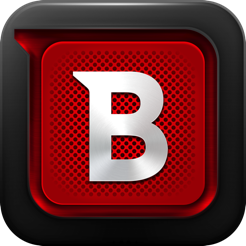 Bitdefender has a paid version, yes, but this version is not the one that costs money, this version is 100% FREE! “Bitdefender Virus Scanner”, the thing you see here, is the free one. 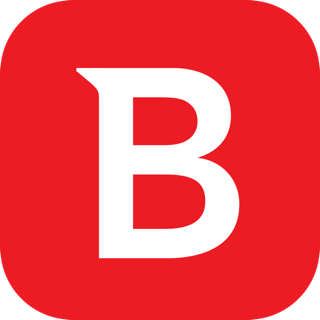 “Bitdefender Antivirus for Mac” (from their website) and “Bitdefender Virus Scanner Plus” (from the Mac App Store) both cost money. Oh and they also have something else free on their website called “Bitdefender Adware Removal Tool for Mac” but it can only remove TWO adware programs, “Genieo" and “Vsearch”, not a very long list, although to be fair, those are the most common ones. Anyway the point is, there are some other reviews here which are rather negative and complain about being ripped off out of money. Well none of those apply to this product because it is completely free, right here in the Mac App Store it is listed as free, sure there is a “Plus” version that costs money but if you get this free version you will NOT be charged anything. 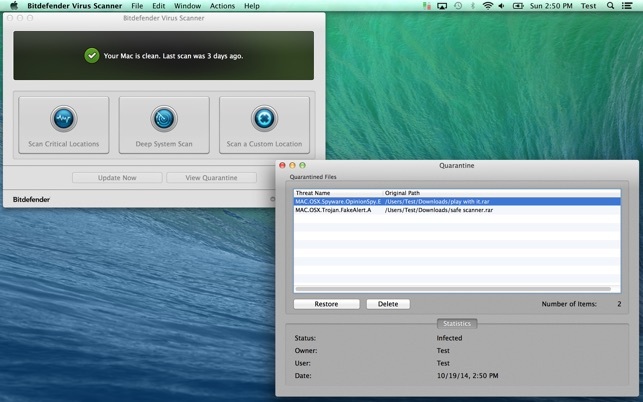 I am trying this along with the free version of Malwarebytes Antimalware, hopefully using both of them can clean up my Mac from an infection of some malware. 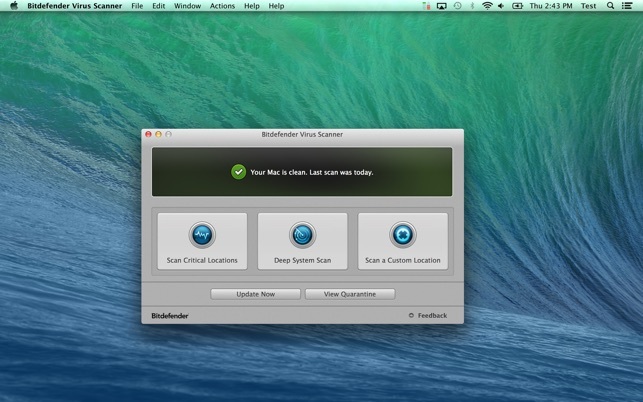 I have used Bitdefender for years (Mac only). 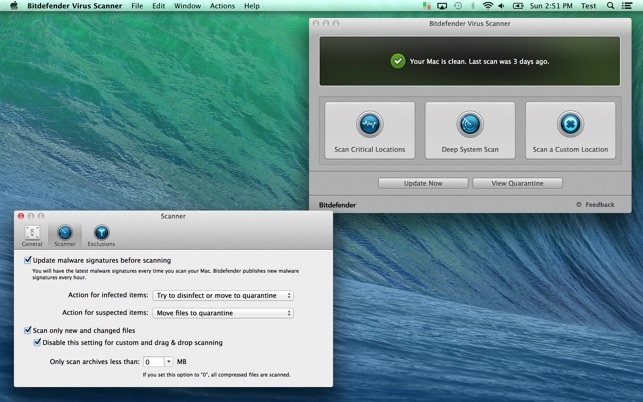 I am very impressed how Bitdefender has continually improved the ease of installation, updating and use. Very impressive how Bitdefender has reduced the virus deep scan time over the years. 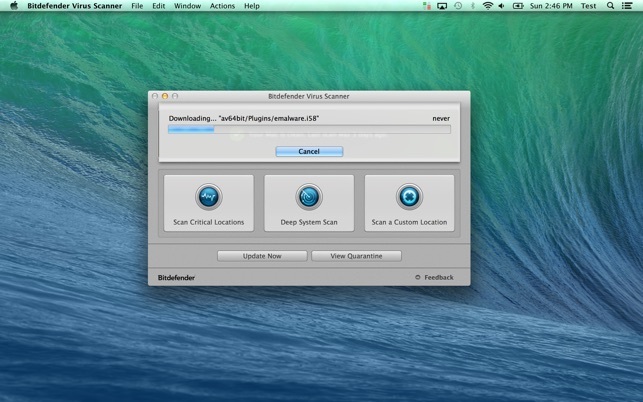 If you keep your OS updates current, regularly back ups using Time Machine, run adware and popup blockers in Safari, only download approved software from the App Store, and frequently update and run Bitdefender deep scans, you will significantly decrease your risk of malware exposure. There are no 100% full-proof security solutions, but conscientious and committed user security practices including Bitdefender come close. © 1997-2018 Bitdefender. All Rights Reserved.